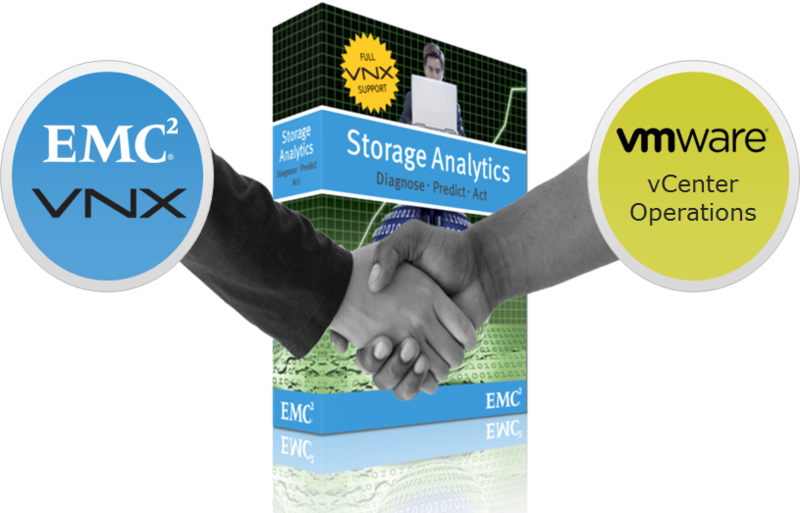 This is part two of my series on lesser known enhancements in the latest code for your VNX. 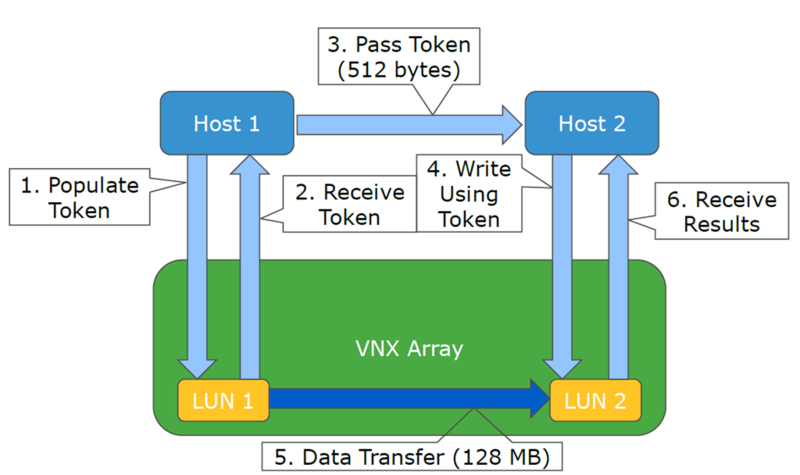 Today we are going to focus on LDAP. 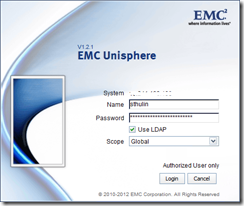 You may remember my very popular post from last year on configuring LDAP for Unisphere. One of the big things I stressed before is that even with a Unified system, you still had to configure both the BLOCK & FILE side. Well, with the latest changes, that is a thing of the past. Now all the settings are done on the block side, and the new Unisphere Network Service will push them into the control station for you, simplifying the entire process. 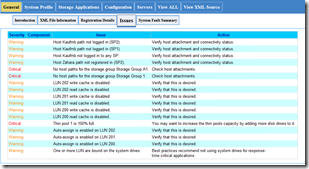 Lets take a look at the configuration section. Just like it has been for the BLOCK side, you will find all the settings inside the “Domains” menu. 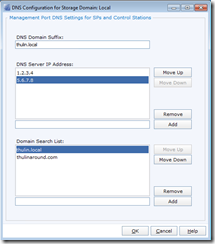 You will notice right away that there is a new option to configure DNS. 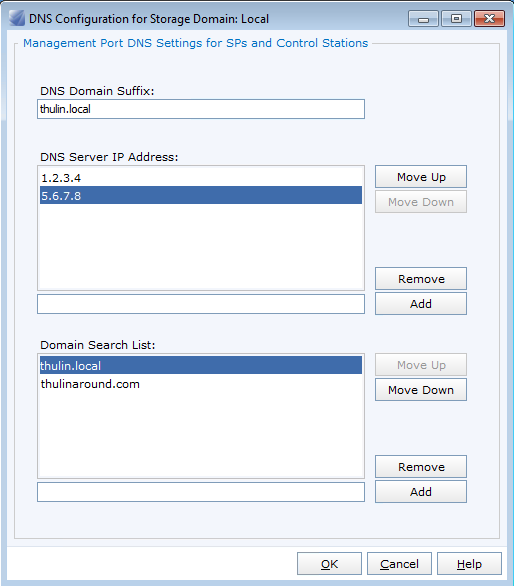 This is crucial for you to configure so that both the SPs and the control station can do host name lookups. This is where you put in your domain suffix. This will be your primary domain namespace for lookups. 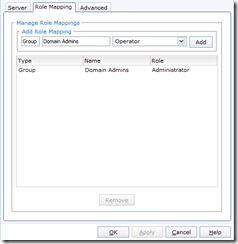 This is where you specify the IP addresses of your DNS servers. I recommend using at least 2 here. If you have multiple domains in your environment, this is where you would list them all in this area in order of search preference. Make sure your primary domain is at the top of the list. 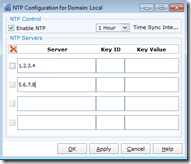 Just as important (in my opinion) as DNS, is configuring NTP. 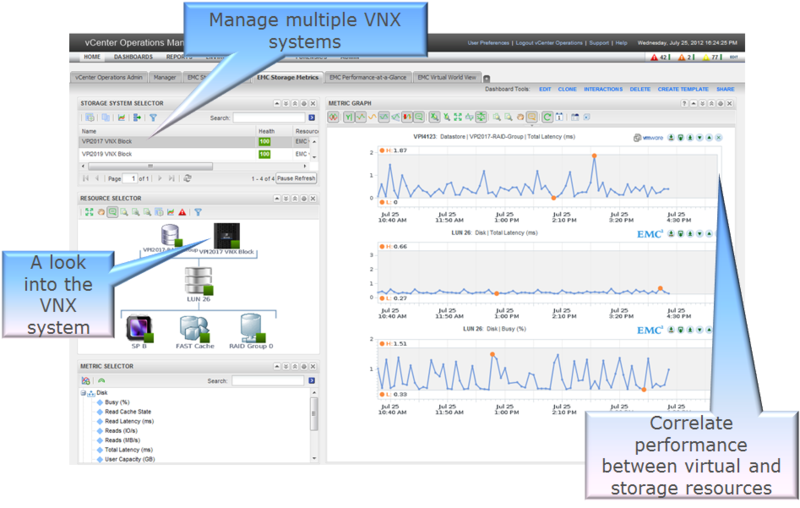 You can specify up to 4 NTP servers to keep your SP and Control Station times in sync. 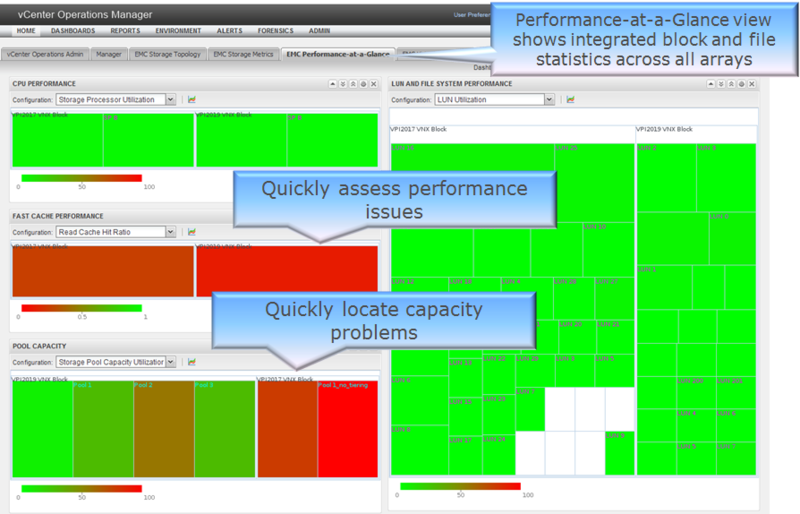 This really helps with comparing event logs against other sources. 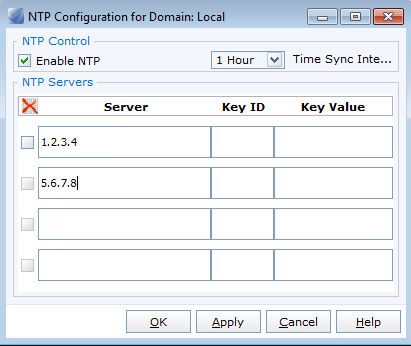 One thing to note, NTP server Keys support is unique to the SPs. It will not be copied over to the control station as it does not support it. 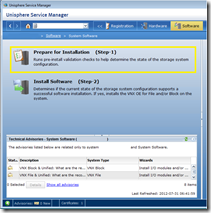 This is where you put in the FQDN or IP of the domain controller. 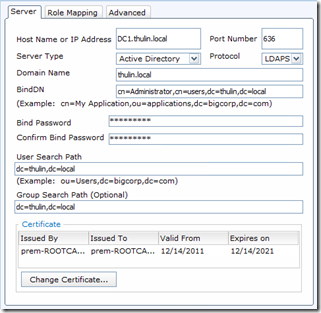 It is recommended to use the FQDN here, especially if you are using Secure LDAP. This is where you would upload a root CA certificate for LDAPS. Make sure it’s in base64 encoding. You will need the entire certificate chain, so if you have multiple CAs in your chain, cut and paste them into the “cut and paste” section. 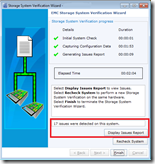 The system will attempt to validate the certificate and let you know if there were problems during validation. Make sure you have DNS configured if you are going to do this. After you have put in all this information, click on the “Role Mapping” tab so we can map an AD group. In this updated version, individual LDAP user mapping has been removed, so make sure your AD groups contain only the users you want to give access. 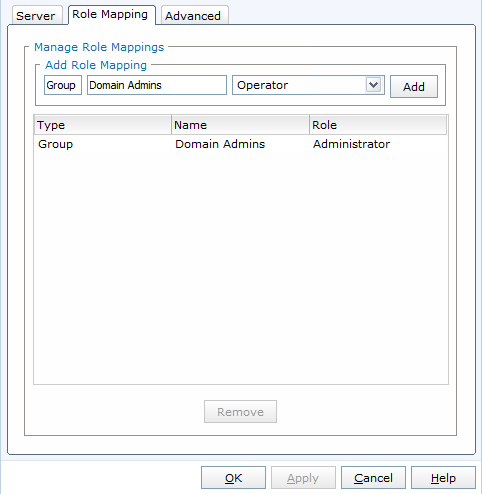 Put in the name of the AD group (in this example I used “Domain Admins”), then select the Role from the second pull down (in this case I selected Administrator), and finally click “Add” to add the mapping. Once you have all your mappings, click ok and wait for the confirmation message. 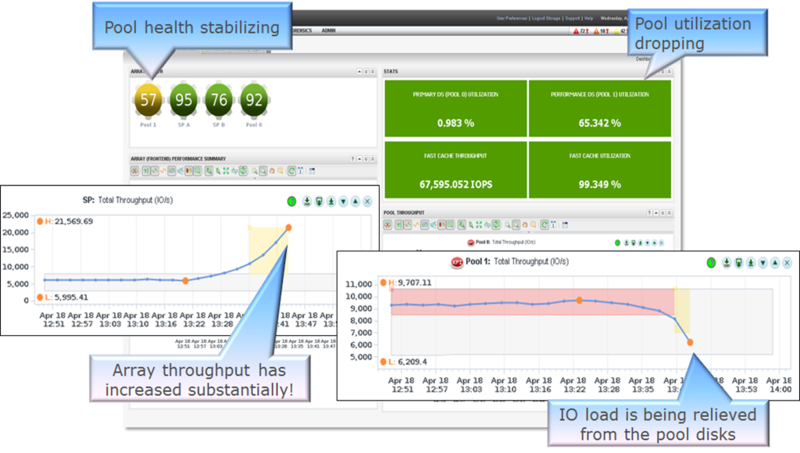 The final addition is the ability to configure the level of nested group support in the advanced tab. By default, it is set to zero. 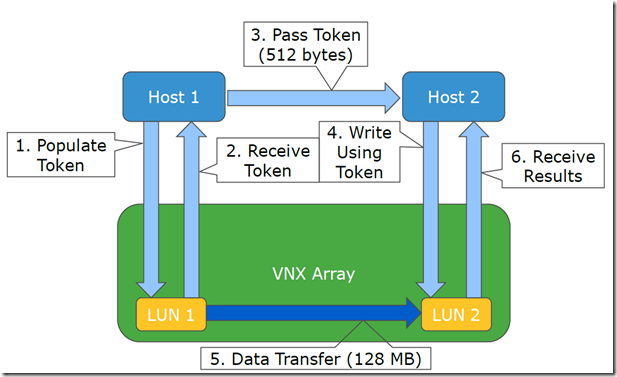 Once you have finished all this configuration, you will want to do this all over again for the second domain controller. Once you have this all set, click “Synchronize”. And that is it! 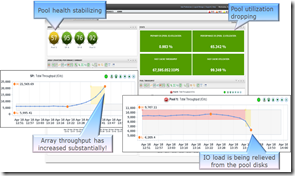 Now it is time to test your LDAP login. 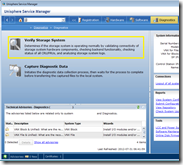 Logout of Unisphere by clicking the door icon in the upper right. Open Unisphere again and this time put in your AD username and password. 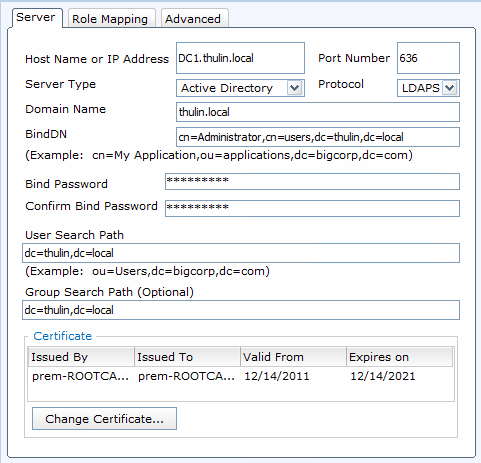 Be sure to select “Use LDAP” and click on “Login”. If all your configuration is correct, you will be brought back in to Unisphere. If you get an access denied message, check you username, password, as well as your user and group search paths. I hope you find this post useful. Let me know your own experiences with Unisphere LDAP Integration in the comments below. 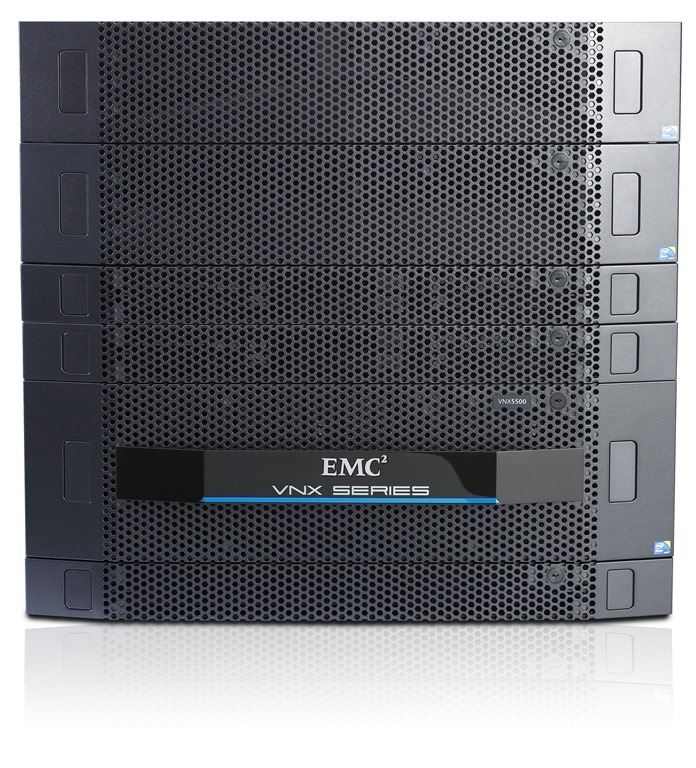 I think my VNX might have gotten sick, how do I give it a health check? With cold & flu season fast approaching, it seems that people are worried just as much about their array health as they are about their personal health. Working in the EMC Unified Storage Remote Support Lab, I see at least 10 new requests each day for a health check on an array and most of the time, there is nothing wrong. Today I’m going to show you some easy ways to see if there really is a problem or not. 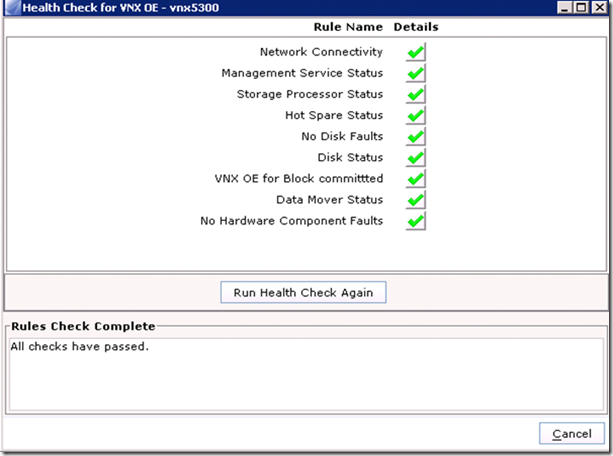 While the VNX array is sold as Block, File, or Unified (a combination of both) the health checks are different for the Block side and the File side. We’ll start with the File side. instructions provided to correct the problem then try again. 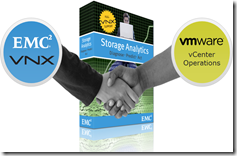 values other than the EMC default values. 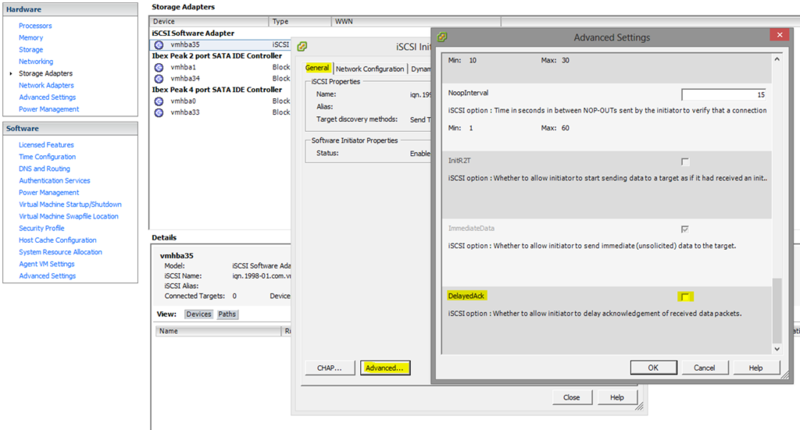 synchronization between the servers and the KDCs). command. 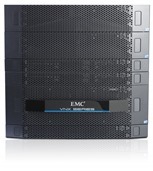 Make sure the NTP service is running on the remote server. 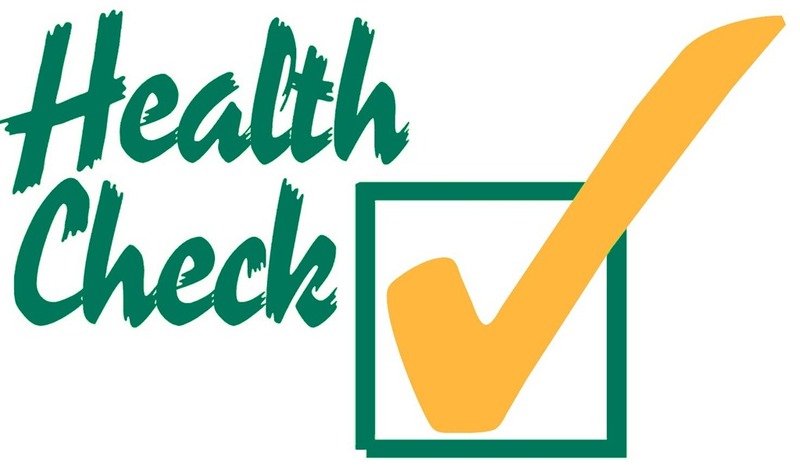 Health checks may trigger the following responses besides Pass or N/A: Info, Warning, & Error. Info is just informational. In the example above, it was telling me about all the parameters that have been changed from the default (most likely on purpose too). Warnings again are not much to worry about either. 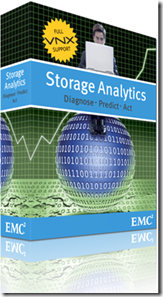 They are mostly there to let you know of potential issues or that you might not be following best practice. These kind of messages indicate that you may have a problem down the road if things get worse, but do not indicate a direct impact at this time. 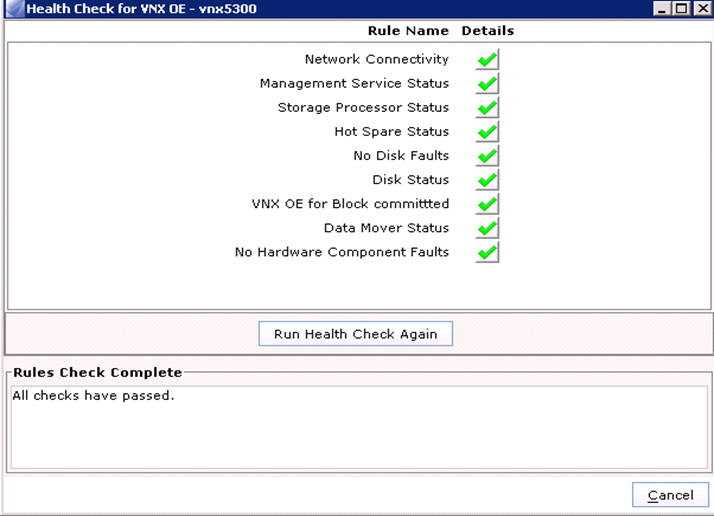 Finally the most severe is Error. This means there is a problem and you should address it right away. All of these come with some basic instructions on how to resolve the problem (or at least where to look) and I would only recommend opening a support ticket if you are getting Errors and cannot solve them on your own. 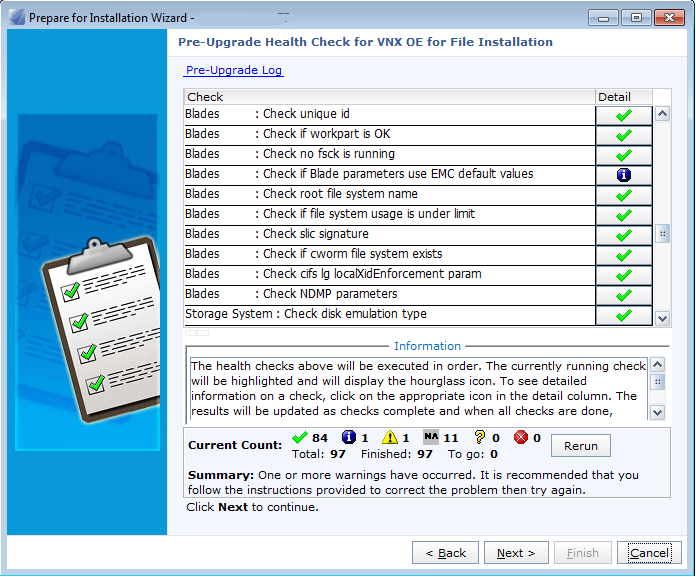 Another way to run a health check on VNX FILE is through the pre-upgrade wizard. 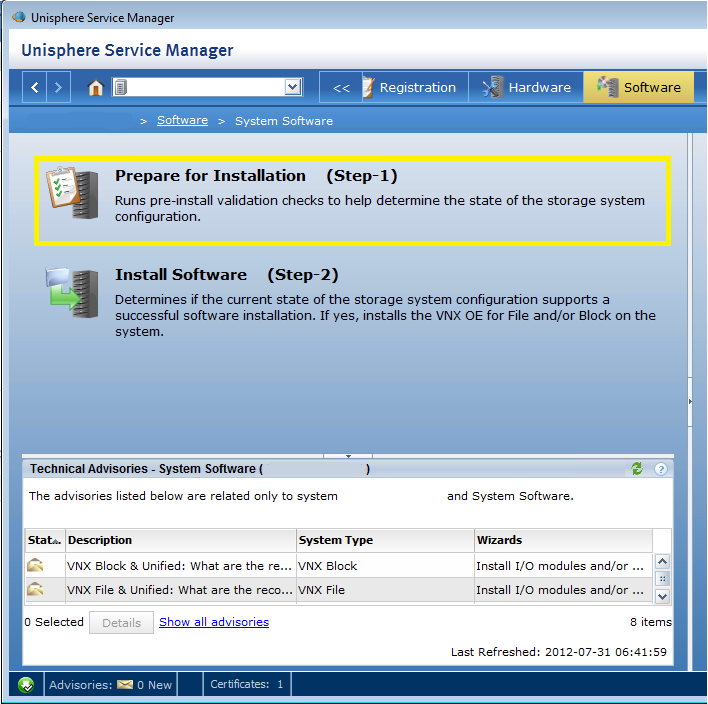 Start by launching USM and then following the prompts to launch the “Prepare for Installation” task. Once this has started, it will kick off a health check making sure everything is ok. 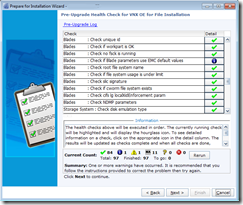 This health check is also done is USM and can be found under the “Diagnostic” section. 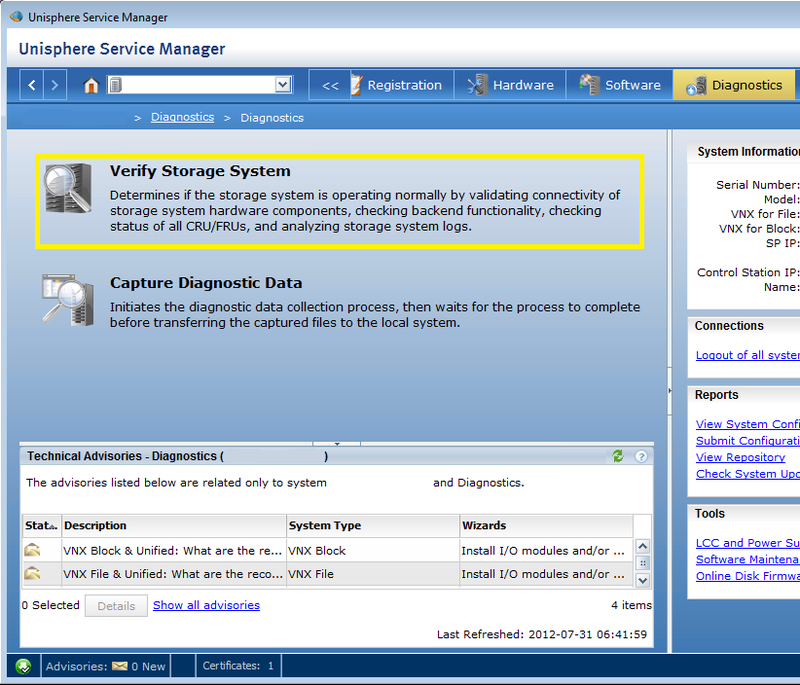 Simply click on “Verify Storage System” to start doing a back end health report. 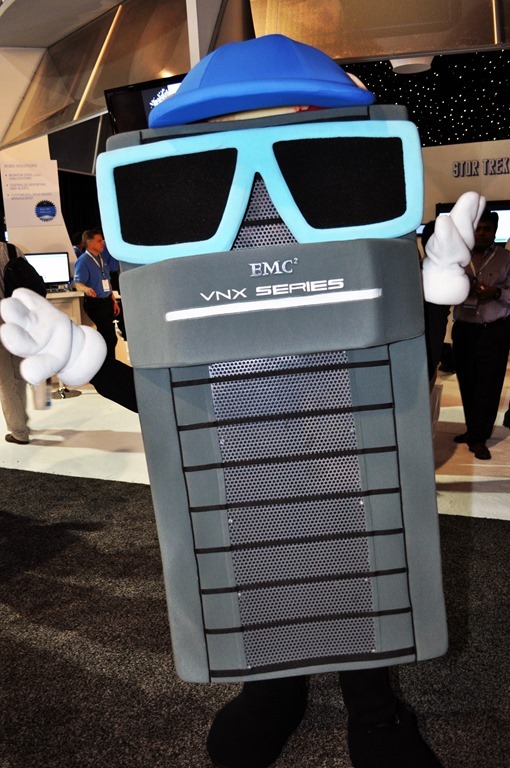 Once the wizard starts, it will gather information about the array, and then generate an XML file for you to review. The check will go over events from dating back to the begining of the logs and will display any faults found. Keep that in mind because if you had a problem several days ago, but don’t right now, it will still tell you that there is a fault. 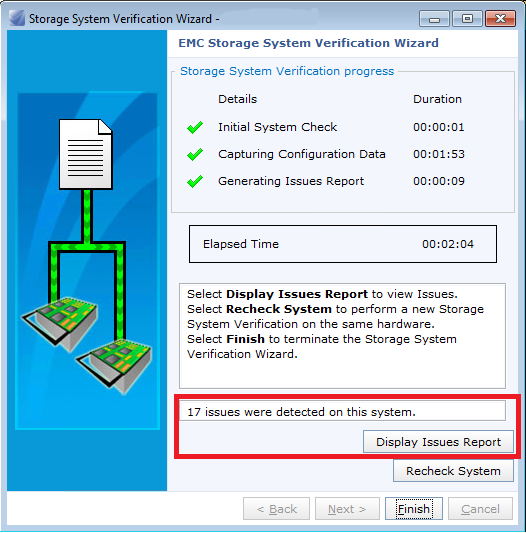 If issues are found, click “Display Issue Report” to see the XML file and then click on the “Issues” tab in the webpage. As you can see from the results, I have some warnings and some critical errors. Just like I said before, warnings are just make sure you know you that something might be up, but not making an impact yet. 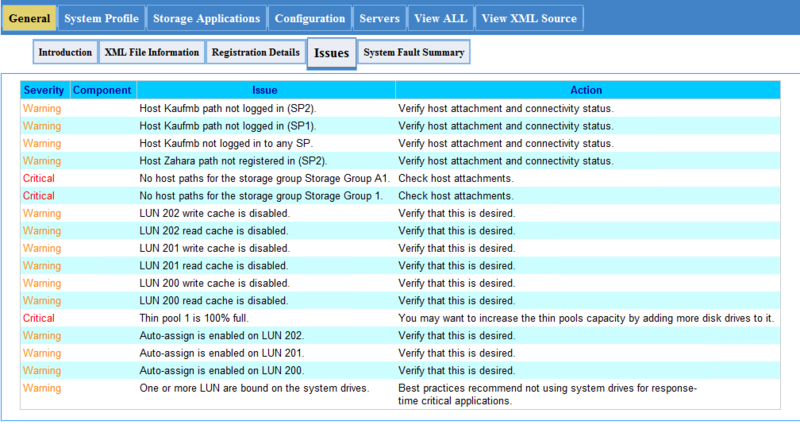 As you can see most of them are because this is a lab box and not all my hosts are logged in, or I’m missing some write cache. 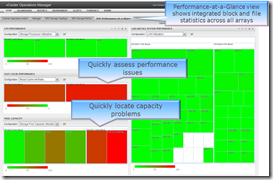 The critical alerts is what you should be concerned about and if you have trouble resolving the issue, open a support ticket to have it inspected. 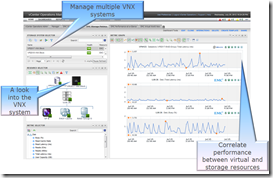 These are some great ways to see if there really is a problem going on with your system and feel free to let me know if you have any questions about them.